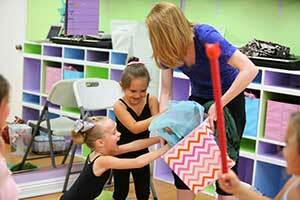 Adage Dance Center’s Development Program is designed for dancers who are seeking an introduction to the fundamentals of dance‚ would like to try out a variety of dance styles‚ dance competitively‚ or pursue dance at a professional level. We are offering a variety of packages under our Development Program‚ each of which can be customized to best suit every dancer’s needs. With the Development Program, we offer recommendations on the most effective and beneficial class pairings for each individual student. 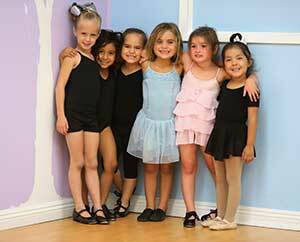 This program aims to create an all–encompassing dance education for students regardless of age or experience. 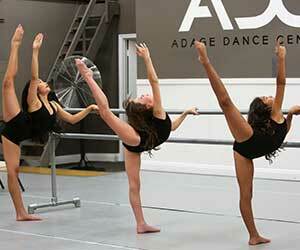 Program A is designed for dancers looking to gain an introduction to multiple styles of dance. These classes are taught in conjunction with one another to offer each dancer consistency in his or her training. This will allow students to excel to the next level at a faster pace. Program C is designed for dancers seeking a more versatile and well–rounded approach to their training experience. While providing all the benefits of Package B‚ these students will also gain training in additional the style of Hip–Hop. Our Pre–Competitive Program is geared toward students with the desire to one day dance competitively or pursue dance at a professional level. This package entails more extensive training‚ and will prepare dancers for the commitment level required of the Adage Company Dancers. This training method has led past students of Adage Dance Center to earn scholarships to collegiate dance programs and/or dance professionally in the industry.